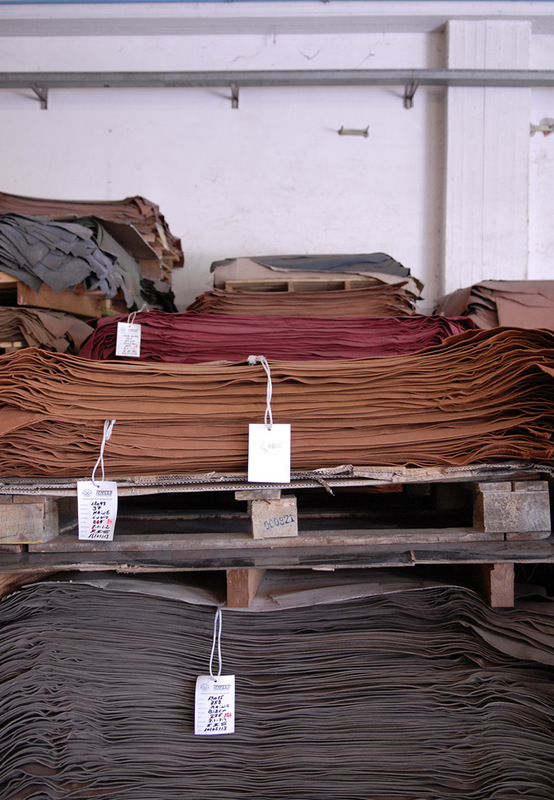 Tempesti have been producing naturally tanned leather since 1945 and is currently run by the 4th generation of Tempesti’s. However, the manufacture of leather has occurred in this area since the Etruscans settled in Tuscany in the 8th century BCE. 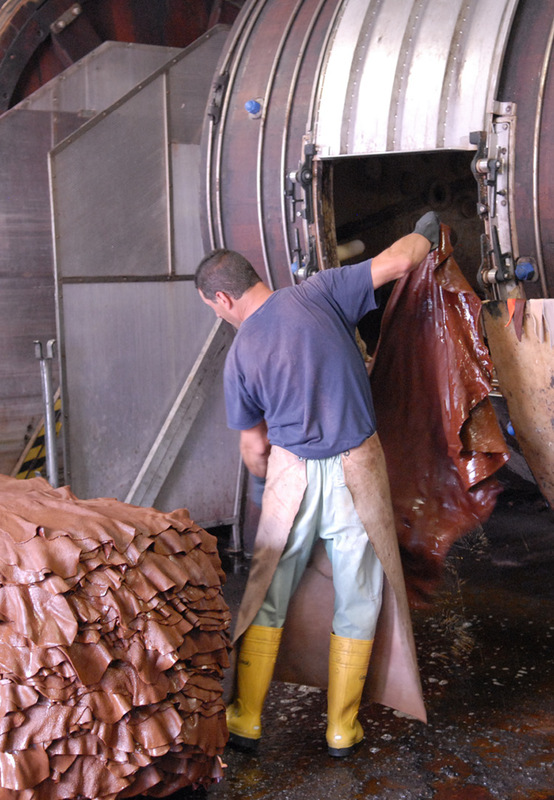 Whilst the basic principles of leather tanning remain similar, the process and techniques has been refined over the last 3000 years. ‍Tempesti is a member of the Pelle al vegetale which is a consortium of 23 tanneries based in Tuscany, founded by the owner of Tempesti, Giovani Tempesti in 1994. The alliance aims to promote the use of naturally vegetable tanned leather as well as sharing ideas between the manufacturers. It is with several of the companies involved in the consortium that Tempesti shares its tanning facility and this is where we began our tour. 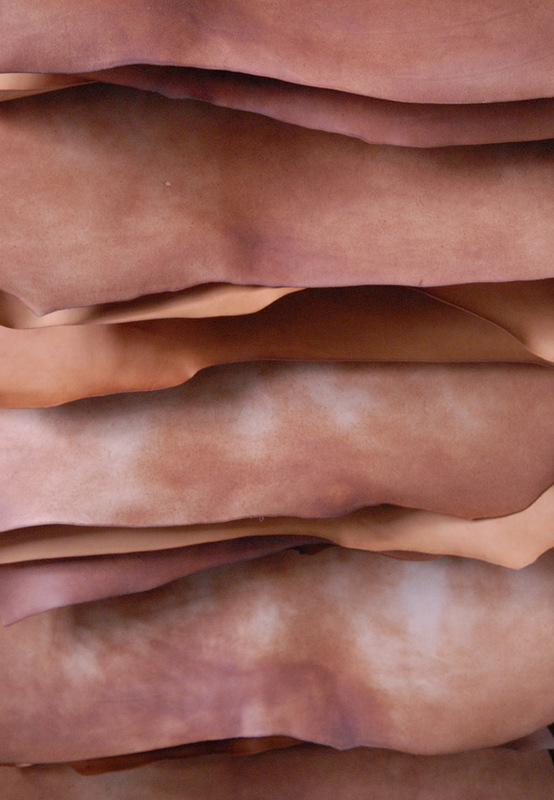 If you interested in finding out more about the vegetable tanning process and the efforts of the consortium in promoting sustainable leather manufacture make sure you take a visit to their website for more information. Located a few minutes drive away from the HQ, the tanning facility is where raw, salted cow hides are initially delivered. Its worth mentioning that the hides they use come from cows in Sweden, Denmark and Belgium, which are known for their high ethical framing standards and where all the leather used is a by-product of the meat industry. In price terms each hide bought costs on average 10% of the overall value of the carcass. Cows from Northern Europe are selected primarily because they are reared to the highest standard. This means that the cows suffer minimal scarring from insects and barbed fences. As the hides are prepared and salted when they arrive they can be kept for up to a week before they are processed. Emiliano explained that Tempesti will soon be moving to a new facility enabling the storage of raw hides for months at a time in controlled environmental conditions. 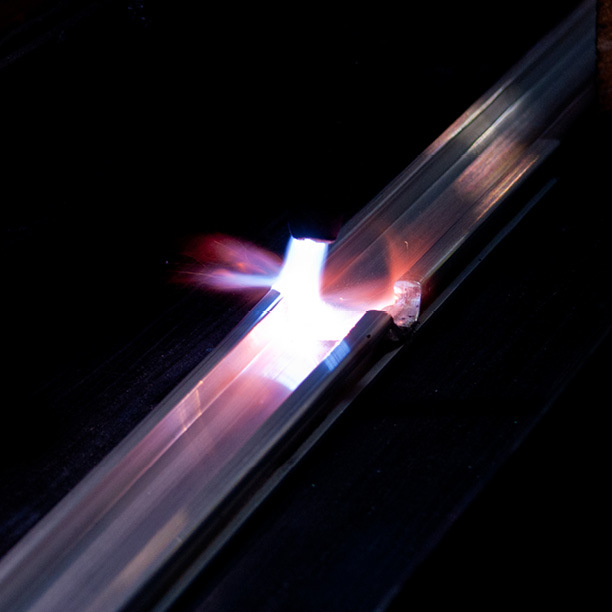 Not only will the move increase capacity but ultimately improve overall lead times and help production. 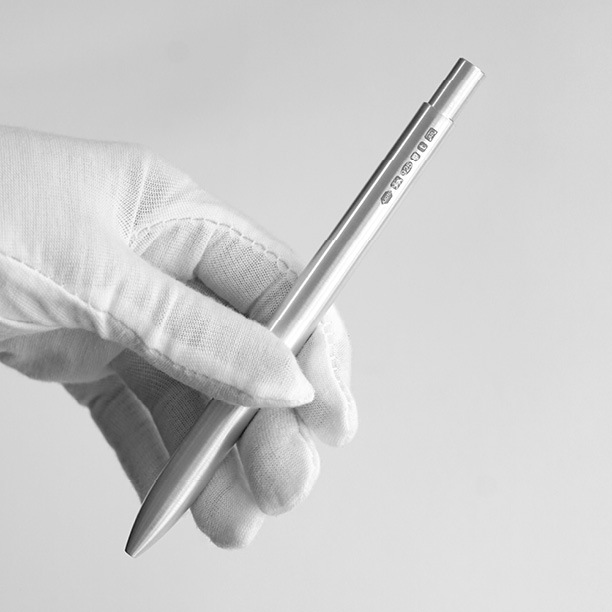 The attention to detail and passion for the manufacturing process of vegetable tanned Italian leather is shown by the consistently high demand from the finest brands and manufactures in the world. 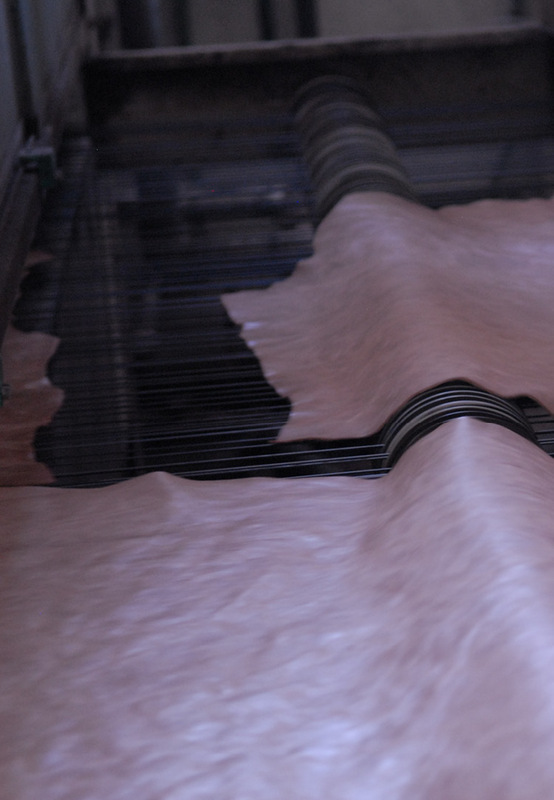 Once each raw skin has been cleaned and stripped of hair the skins are then transferred to giant tanning barrels that contain a range of natural tannin ingredients such as wood bark, vegetable extracts and even baking flour. They are then tumbled in the mixture until they are ingrained with the natural dye. 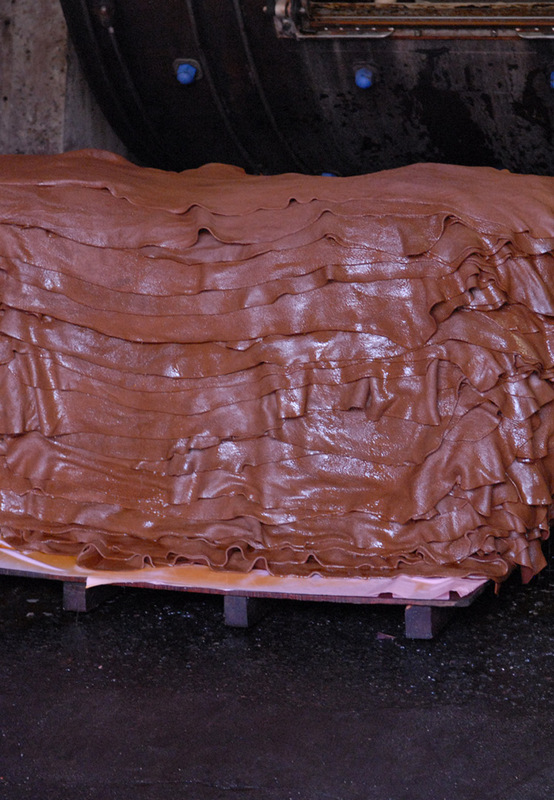 This dye is used for around a month before a new batch is produced. We were fortunate enough to have timed our visit to witness the draining of a drum which the technician joked was a month of his work down the drain. The vegetable tanning processes can be as much as 4-5 times more time consuming than the industrial chromic tanning process, which unlike vegetable tanning uses high levels of chemicals and toxins. 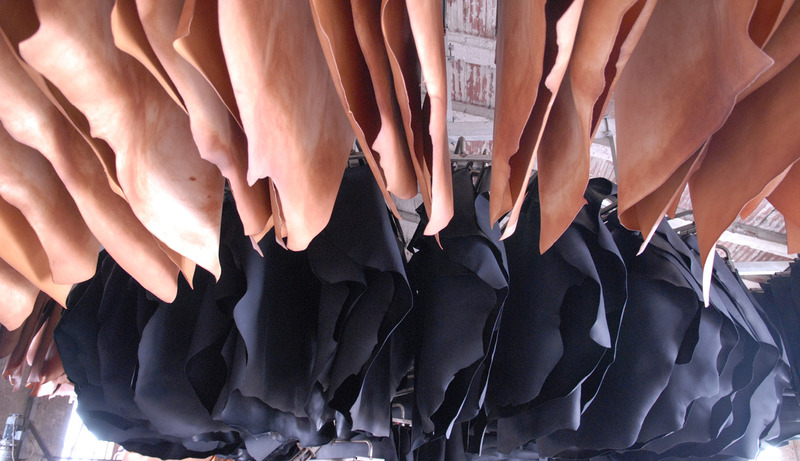 If you want to read more about leather this article by TIFF is good start. 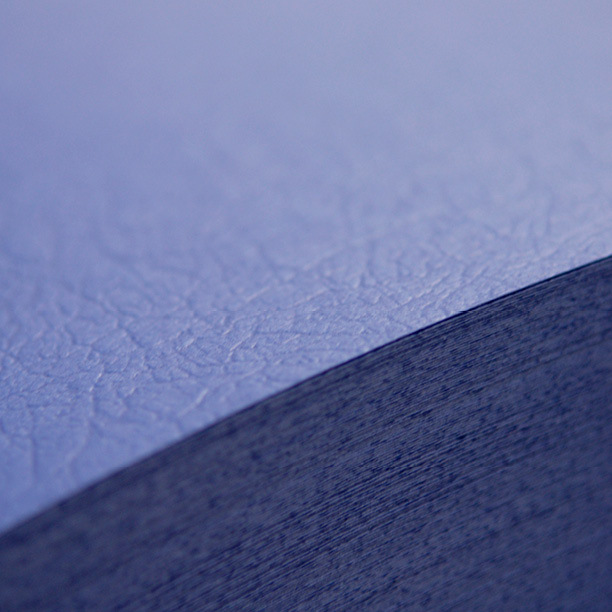 Once the leather is finished to the specified effect the hides are split down to the appropriate thickness before having any edge imperfections trimmed away. In stacks of several hundred the hides are finally transported to the distribution room above where they measured, sorted and packed for shipping. Throughout our journey we were struck by the joy and pride each member of the Tempesti team took from their job. 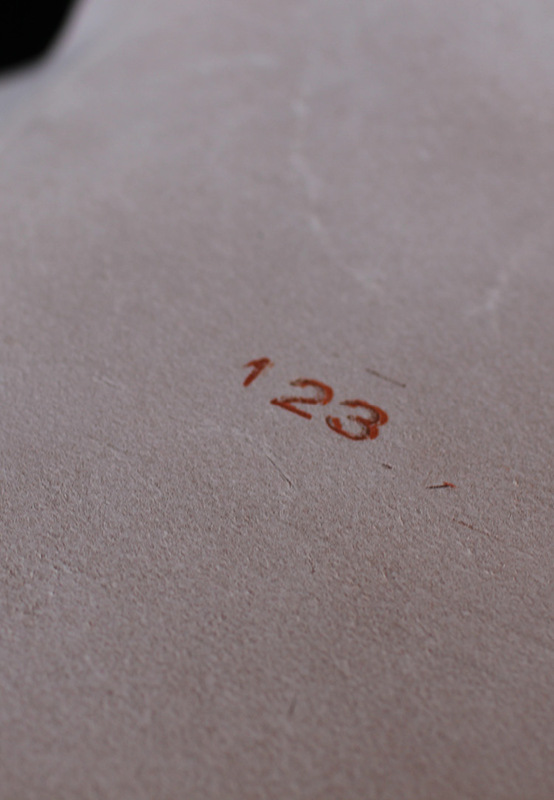 There is a rich heritage of quality and integrity to the way leather has been produced in Tuscany over the last 3000 years that each employee feels a responsibility to uphold. At every stage of production it is clear that there is a reverence for the animals from which this material has its origins. With that reverence comes a responsibility to ensure that the leather they produce is of the highest quality and will last as long as possible. It is very much a philosophy that we share, which is why the products we create must do justice to not only the efforts of everyone at Tempesti but also the animals lives that are sacrificed. We’d like to thank everyone at Tempesti, particularly Emiliano Frangioni for giving us such an amazing tour of the factory and Chris Scopes for organising our visit.